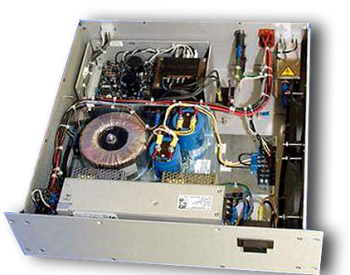 Our client, a leading provider of specialized materials, needed a power supply that could not be purchased off-the-shelf. After trying several “consultants” without success they turned to Finish Line. A project that was to take one person less than three months was now on its third consultant in almost one and half years. Each “try” had the same result: the supply would work for a period of time, only to fail in the coming weeks. Despite repeated attempts, each consultant was not able to design and produce a reliable product. Now the budget was depleted and time was up. Was there a way to save this project? The Finish Line team, with deep domain expertise in power electronics, was the perfect choice to tackle this unique challenge. With a strong background in reliability and root cause analysis, our team was able to determine why so many others failed: a lack of understanding of the dynamic load. Using our unique product development processes our team was able to come up with a solution that used a modified off-the-shelf supply. Not only did this save significant development dollars, it also took advantage of reliability that comes with a product that had years of field experience. This project was yet another example of how a multiple disciplined and diverse team was able to outperform individual consults on all levels: development cost, unit cost, and product performance. For more about this phenomenon, see our blog here.